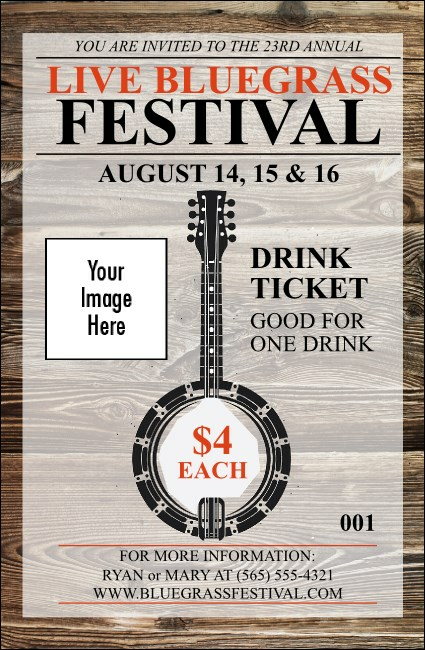 Let your fans wet their whistles while you tune your strings with these folksy Banjo Drink Tickets. With an earthy, wooden background and a banjo pictured in the center, along with room to upload your own image, these tickets will keep the hands clappin’ and the feet tappin’ at your next bluegrass show. TicketPrinting.com helps you bring the best jam to your fans.